Newquay is a fantastic place to learn to surf. The undisputed centre of Cornish surfing is home to some of the best surf beaches with a lively surf scene and community. There are plenty of surf schools to choose from for surfing lessons in and around Newquay at beaches such as Fistral, Crantock, Tolcarne, Lusty Glaze, Watergate Bay and Mawgan Porth. Newquay’s premier surf school. 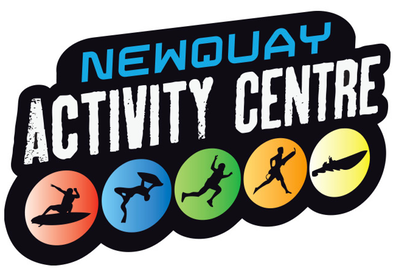 This award winning activity centre is located at Town Beach in Newquay and runs it’s activities on the beaches and coastline nearby. Britain’s only Bodyboarding School. We have a range of coaching courses for riders of all age and ability. The most fun, accessible way to ride waves. Group surf lessons for all ages at Fistral Beach. Also have specialised workshops. Surf school open every day of the year and welcome everyone, from beginners to the more experienced, catering for Stag and Hen Parties, Families, and Youth Groups. Stag and hen parties welcome. All ages and abilities catered for. Surf school for women, taught by women. Have a varied range of courses. Scenic Lusty Glaze Beach is surrounded by high cliffs and is a base for surfing, climbing, abseiling, Coasteering, zip wire and more.